JULY 2014, ORANGE COVE, CALIFORNIA – Mulholland Citrus, a family farm born in 1885, represents 10% of the California fresh mandarin market. Great-grandfather William Mulholland began a tradition of innovation and ingenuity which has been passed down through four generations of California Delite growers. Today, fourth generation, Tom Mulholland is at the helm. 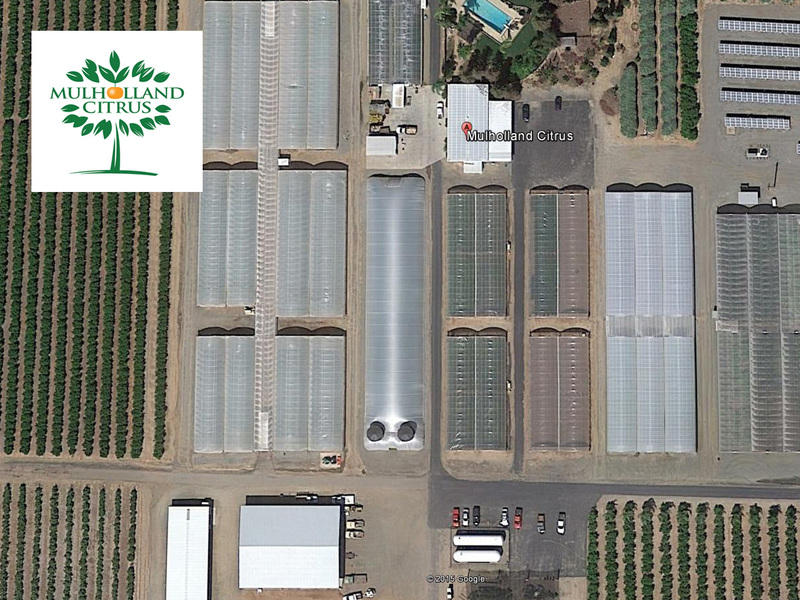 When the Asian Psyllid attacked he needed to protect his market for wholesale citrus tree sales outside of the quarantine areas. In keeping with a tradition of ingenuity, Tom chose Airstream Innovations for his solution. Everyone must deal with the evolving pest pressures and the damage of pesticide, fungicides, and herbicides to the environment. When the government mandated HLB free plants in 2012, the most innovative leaders in California’s citrus nursery industry clearly saw Airstream’s affordability for fully protected industrial scale production and quickly adopted it. As of May 2016, Airstream will be protecting over one million square feet of California’s citrus crop.